[Part I] The author lays the foundation of a theory of linear spaces and algebras of infinite order. Particular attention is paid to what can be proved without the axiom of choice. [Part II] Continuing his discussion of algebras of infinite order, the author takes up ideals, subalgebras, idempotents and Kronecker products; the latter are constructed without using a basis. I first met Barsotti in Rome, when he was an assistant in geometry. He had just graduated from the Scuola Normale of Pisa but was already working independently, with originality of interests, making use of unusual cultural support. In those years the methods of modern algebra in algebraic geometry were almost unknown in Italy: in Rome it was only Barsotti who had already securely mastered them. This was a difficult period with considerable tensions. Following the war, Severi had been investigated by the High Commission for Sanctions against Fascism, suspended from his post for several months but reinstated in May 1945. However, he was investigated again in the following year and, although cleared of any wrongdoing, he was thrown out of the Accademia dei Lincei. Continued accusations against Severi made Barsotti's years as his assistant from 1946 to 1948 difficult ones. Severi's difficulties continued throughout this period but he was reelected to the Accademia dei Lincei in 1948. Notice that although Barsotti was Severi's assistant in Rome during 1946-48, he still gave his address as Pisa on the paper A proof of two fundamental theorems on linear transformations in Hilbert space, without use of the axiom of choice which he submitted to the Bulletin of the American Mathematical Society in March 1947. The present paper was originally intended to give a satisfactory algebraic definition of 'algebraic equivalence' between curves of an algebraic surface, and to prove the usual equivalence criteria. However in the course of development of these ideas it became apparent that the methods used could be applied to varieties of any dimension, at least as long as the concept of algebraic correspondence was involved. In the present paper it is only with these methods that we are concerned. it is intended that the original plan, and some other topic on the theory of intersections, will appear in a future paper as an application of the general theory. The present treatment differs from the previous ones given [by Bartel van der Waerden and André Weil] It differs also from Zariski's approach to the subject [which will be] contained in a book to be published in the American Mathematical Society Colloquium Publications. The Author had access to a part of the manuscript by courtesy of Professor Zariski. For a number of years intersection theory represented one of the most debated subjects in the field of algebraic geometry; also one of the main reasons for seeing in the whole structure of algebraic geometry an inherent flimsiness which even discouraged the study of this branch of mathematics. This situation came to an end when the methods of algebra began to be successfully applied to geometry, mainly by van der Waerden and Zariski; in the specific case of intersection theory, a completely general and rigorous treatment of the subject was given by Chevalley in 1945. This rebuilding of algebraic geometry on firm foundations has often taken a form quite different from what the classical works would have led one to expect. Thus it is not surprising that Chevalley's solution of the problem has no evident link with the methods that, according to the suggestions of the classical geometers, should have been used in order to define the intersection multiplicity; rather, it is linked to the analytical approach, and it is therefore a strictly "local" theory, thus having the advantage of providing an intersection multiplicity also for algebroid varieties. The method by André Weil [in 'Foundations of algebraic geometry' (1946)] is another example of local theory. The classical approach to the problem is illustrated in the introduction to [I Barsotti, 'Local properties of algebraic correspondences' (1951)], and carried out in the present paper. In 1960 Barsotti moved to Brown University in Providence, Rhode Island but, while there, entered the competition for the chair of geometry and algebra at the University of Pisa. He was ranked in first place by the panel and, in 1961, returned to Italy to take up the appointment. This was a golden time for the mathematics department at Pisa due to the appointment of Alessandro Faedo in 1946. Faedo, who was rector of the university from 1958 to 1972, brought an amazing collection of outstanding mathematicians to Pisa. In addition to Barsotti, he appointed Aldo Andreotti and Edoardo Vesentini. While at Pisa, Barsotti published a series of seven papers entitled Metodi analitici per varietà abeliane in caratteristica positiva. These seven papers, published between 1964 and 1966, are parts of a single work which studies inseparability phenomena for abelian varieties over an algebraically closed field of characteristic greater than zero. His work in this area is remembered since his name has been attached to the Barsotti-Tate groups. Barsotti introduced these groups in his 1962 paper Analytical methods for abelian varieties in positive characteristic and named them equidimensional hyperdomain. John Tate worked on them five years later, calling them p-divisible groups, but the name Barsotti-Tate group is due to Alexander Grothendieck in 1971 who observed that these groups are naturally associated with the crystalline cohomology of a smooth scheme defined over a field of positive characteristic. Barsotti was not, however, to spend the rest of his career at Pisa for, in 1968, he moved to Padua to take up the chair of geometry at the university there. He published a number of articles on the theta function after moving to Padua, for example Considerazioni sulle funzioni theta (1970) which aims to bring the classical theory of theta functions of several variables within the scope of abstract algebraic geometry. The intention is to be able to extend the theory to cover the case of non-zero characteristic. He moved to this in Theta functions in positive characteristic (1979) and, staying with the theme of theta functions, published Differential equations of theta functions (1983) and Theta functions and differential equations (1985). While working on the theta function, he returned to Princeton to spend time as a visiting scholar at the Institute for Advanced Study in 1982. 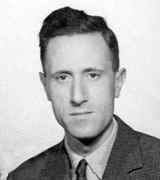 Following his death in 1987, a Symposium in Algebraic Geometry was held in his honour from 24 to 27 June 1991 in Abano Terme. The proceedings of the conference was published by Academic Press in 1994, see .